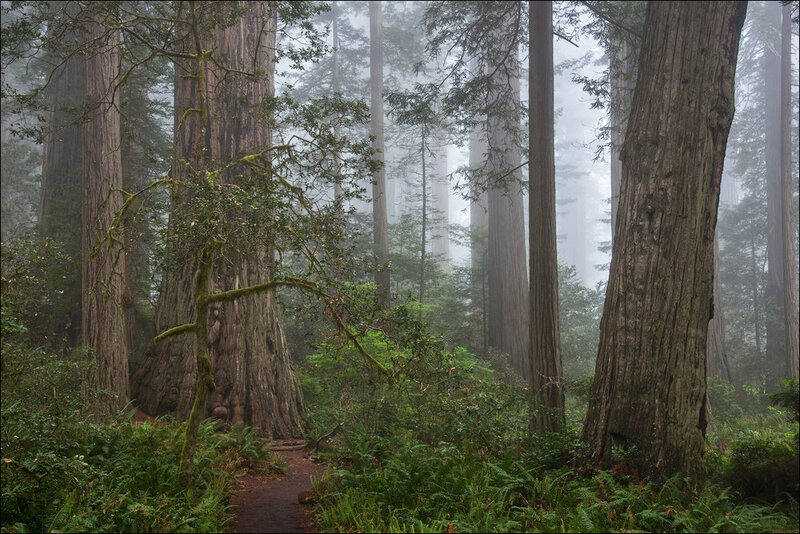 Join Muench Workshops pro Greg Vaughn and photographer Tom Kirkendall, as they show you some of the magnificent old growth redwoods along the Redwood Highway. 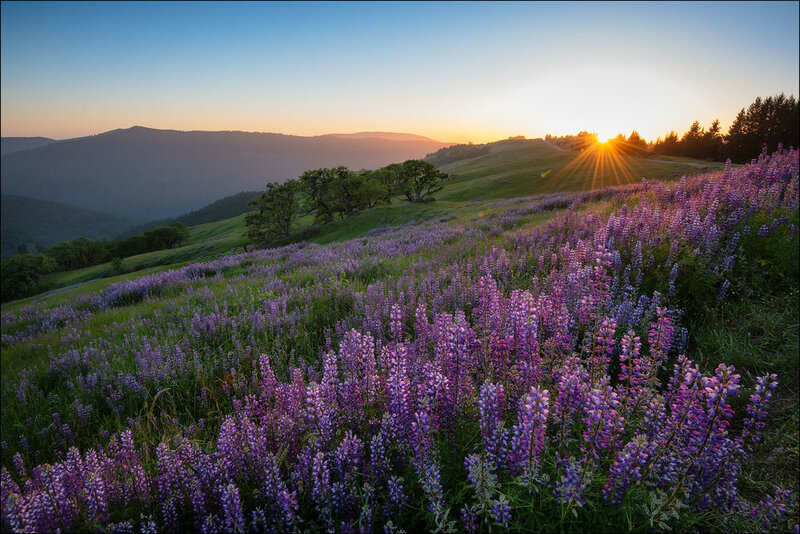 You’ll photograph various groves in the Redwood National and State Parks region including the Del Norte, Prairie Creek, and Jedediah Smith areas. 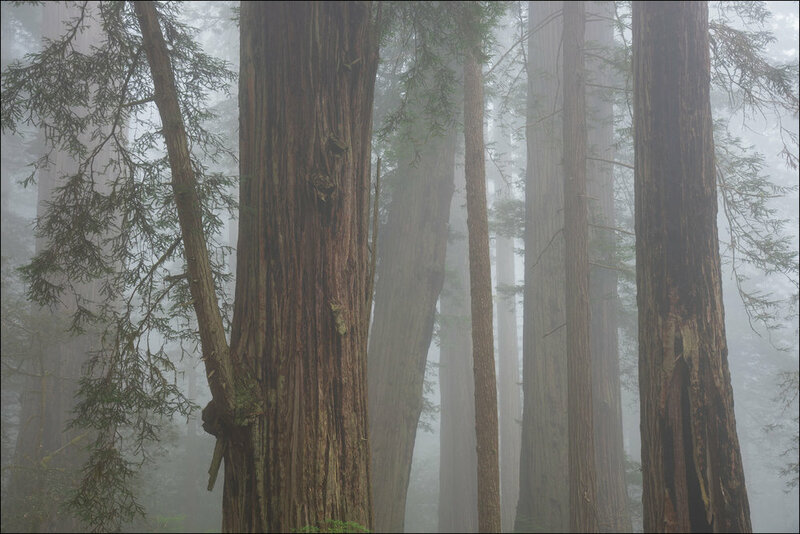 Late May and early June is the best time of year to capture the fog as it rolls inland and creates mist in the forest. 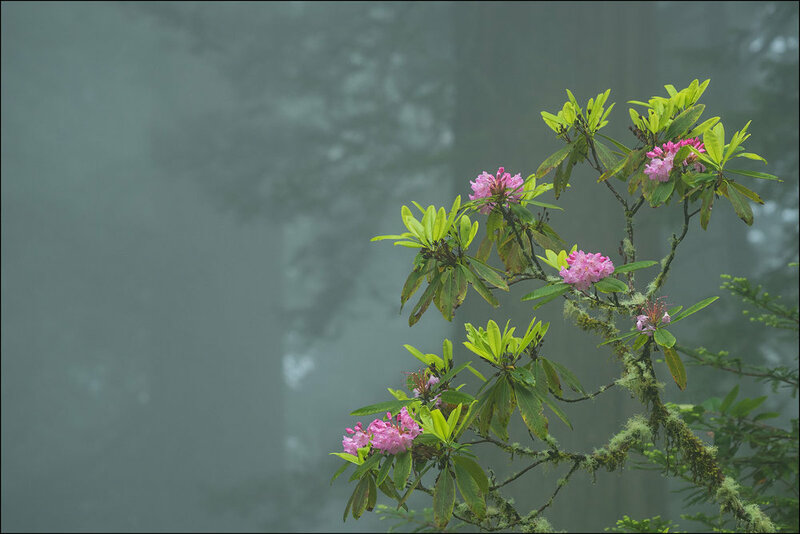 It’s also a great time of year to photograph the rhododendron flowers that bloom in and around the trees. 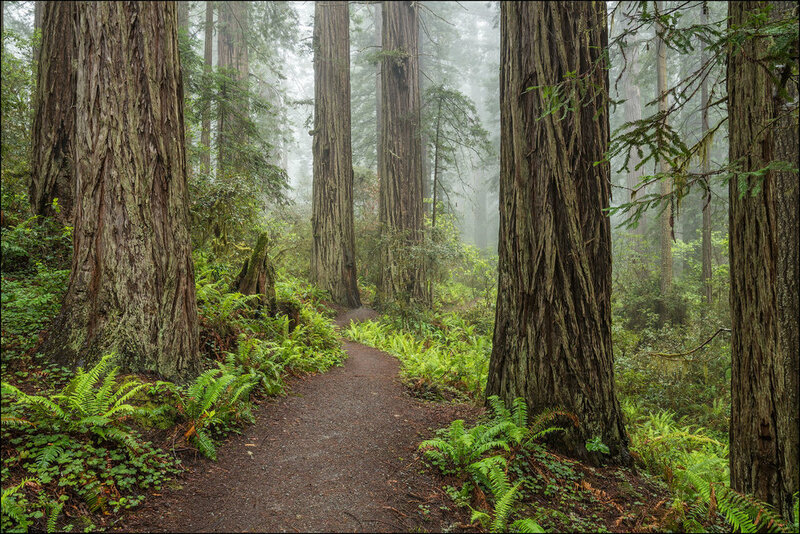 Greg and Tom will teach you about composition, exposure, and camera technique while you explore and photograph these beautiful groves. Bring your laptop so you can review images and learn valuable skills in post-processing your images. We have great lodging with perfect access to all the locations and our own private meeting room for image reviews. Here you will meet up for a introductory dinner and sunset on the beach. 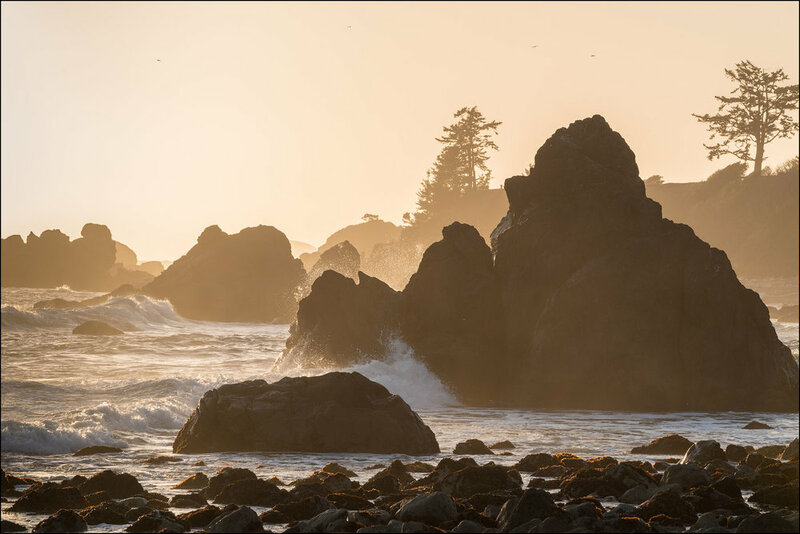 May 28, 2019: Meet in Crescent City, California for introductory dinner and sunset shoot. Hotel information will be mailed to you prior to the workshop. It is best to fly into Medford and drive to Crescent City via Highway 199. The drive takes about two hours. May 29–June 1, 2019: Greg and Tom will guide you to visit the groves and will determine which ones to visit based on the current conditions. 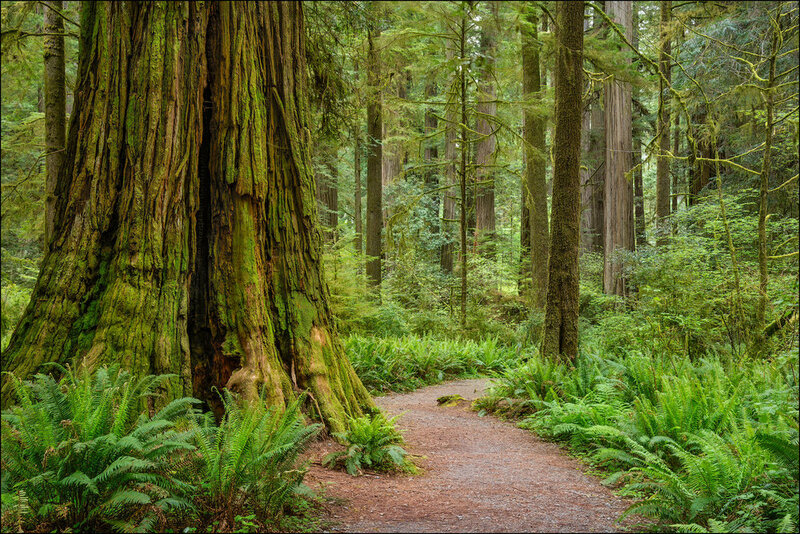 You will spend time out in the trees working along the paths that meander through the groves. We have arranged a great meeting room where we’ll conduct several image reviews and post processing lessons. You will also be given plenty of one-on-one instruction out in the field and in the hotel while in our classroom. All three days will be full of photography, learning, exploring, and fun. June 2, 2019: Sunrise shoot nearby followed by breakfast and goodbyes. Those flying out of Medford will have adequate time to reach the airport by 1:00 PM for departing flights. Your deposit of $1,995 will hold your place on this workshop. The balance of $2,000 will be due not later than February 1, 2019. All of our standard terms and conditions apply. Need special payment arrangements for your deposit? No problem, just ask us.